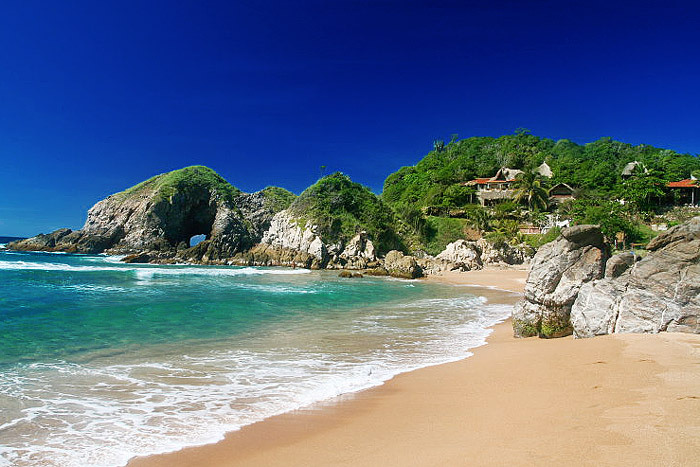 The western part is a bit crowded tourist infrastructure, but on the whole Zipolite is the perfect place to relax. Located on Mexico’s Pacific coast, near Puerto Angel. It is a long beach, which offers a simple, affordable vacation in hammocks near the ocean. Contemplating the beautiful sunsets in this place you forget about the rest of the world. Remember, however, the flow is very dangerous, and every year they bring a lot of victims among the surfers and swimmers, including experts. It is better not to venture into the waves and just watch the show of the ocean.